The BC Lions Club was chartered March 1955 with 44 new members. BC Lioness meet for dinner 2nd Thursday 6:30PM at Scoreboard Pizza and the 4th Thursday for Board and General membership meeting at 7:00PM at The Crossings. See BC Lions Local Links for Lions and Lioness Pictures. 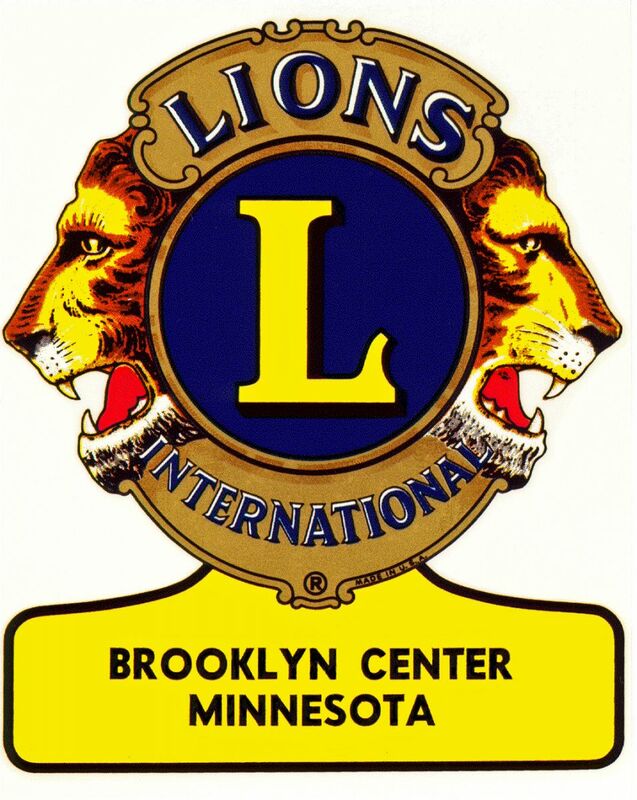 The Brooklyn Center Lioness were organized jointly by the Brooklyn Center Lions Club and the Brooklyn Park Lioness Club in 1979. Lioness are women who have decided to give something back to their communities. Membership is by invitation and open to all over 18 years of age. We have one Social Dinner meeting and one Business meeting each month. We are part of the world’s largest service club organization in the world, our purpose is to carry out service programs and activities and to unite members in friendship and mutual understanding. We work hard and have a lot of fun doing our projects. 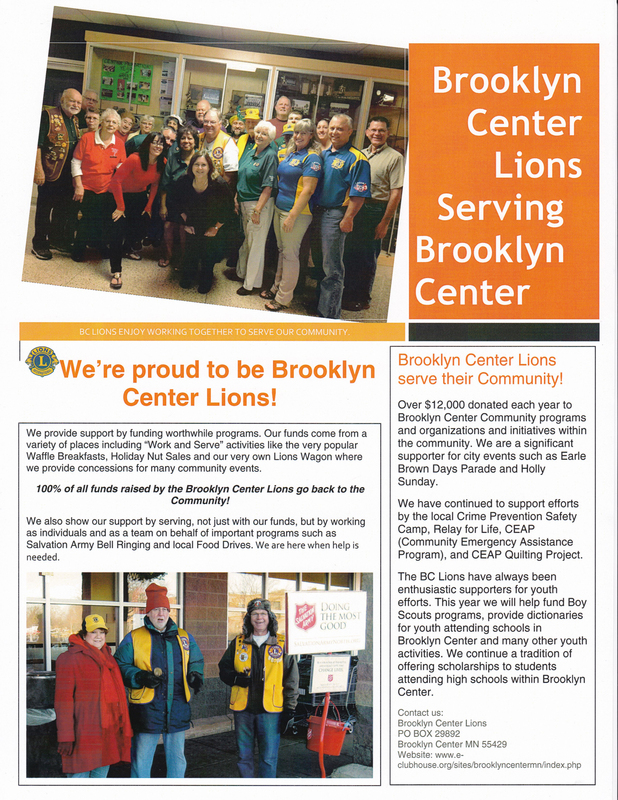 Some of our Lioness projects over the years have been a Fashion Show and Luncheon, bake sales, working at the Camp Courage Halloween party each fall, adopt a park clean up, working a concession trailer at the Dudley softball tournament in June, collecting food for CEAP our local food shelf, ringing Bells for the Salvation Army and many more projects and activities. The Lioness try to earn money, which we donate to many different causes, both local and International. We donate to Crime Prevention, High School Senior Graduation parties, Camper Scholarships, School supplies for the children, BC Prayer Breakfast, St Joseph’s Home for Children, Leader Dogs for the Blind, Hearing and Service Dog of Minnesota, the Minnesota Lions Diabetes Foundation, Minnesota Lions Eye Bank and the Hearing Foundation at the University of Minnesota and more. We serve our community by working on many different projects, they are too numerous to mention them all.